Well, it’s now five weeks to the day since we were promoted and the lack of any truly significant news emerging from Cardiff City Stadium continues. As mentioned in a message in the Feedback section this week, Vincent Tan thanked the Sultan of Johor for his financial support over the past three seasons when he has paid a total of £3 million for the Visit Malaysia shirt sponsorship that City have had in recent years. There was also confirmation of two more pre season matches with City visiting two of Neil Warnock’s former clubs next month. On Wednesday 25th, City visit Rotherham to play a side that were able to complete the unusual achievement of all three sides to be relegated from a league returning to it a year later after a promotion – Blackburn and Wigan will be joining the Millers in the Championship following their relegation in 16/17 as well. Unfortunately, but probably inevitably, Burton Albion made the reverse journey in May as their stay in the second tier came to an end. Burton in the Championship was something of a fairy tale, but it is one that can be repeated and Nigel Clough’s team will have a match with City as part of their preparations to repeat next season what Rotherham did in 17/18 on July 28th. Next Thursday will see three things happen which are worth noting. At nine in the morning, the Premier League fixtures for the upcoming campaign will be announced – the EFL fixture list follows a week later. The new season always seems that much closer once you know who you will be playing and when, but it may be that the opening day games are known already – this story has been doing the rounds on social media in the past week and has it that we will be playing the first match of our second season in the Premier League at Bournemouth. Now, it seems to me that, if this was the case and the fixtures set out on that list were correct, the authorities will probably prefer to come up with an alternative rather than being forced to admit to an embarrassing leak of their opening weekend programme. Then at 4 o clock I believe it is, the World Cup will begin with host nation Russia facing Saudi Arabia. 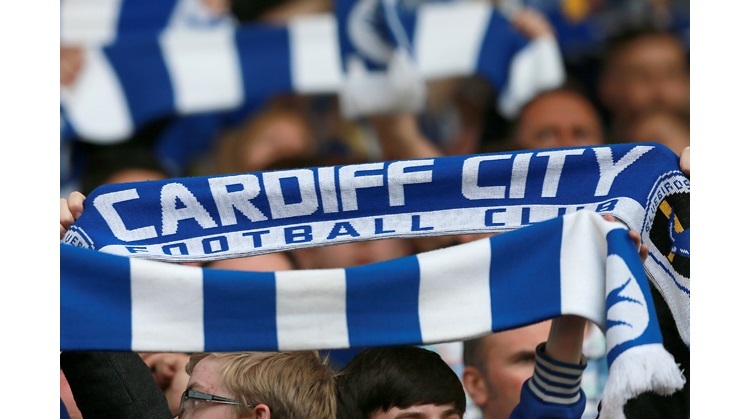 This will be followed by the Cardiff City Supporters’ Trust AGM at the Three Arches in Heath which will include the normal Q and A session with the BBC’s Rob Phillips and ex City centreback Jason Perry – members can confirm their attendance by contacting members@ccfctrust.org (you are allowed to bring one guest if you want to), while non members can turn up and join on the night if they so wish. As for any transfer comings and goings, maybe this is the weekend to concentrate more on potential outgoings in the absence of any significant news as far as inward moves are concerned. The most persistent rumour regarding an existing City player leaving is probably the one which links Lee Tomlin with Nottingham Forest – whether by another loan deal or something more permanent, I wouldn’t be surprised at all to see this one come off. According to a Wales Online piece from getting on for a fortnight ago which I believe I said on here had a look of authenticity to it, we were going to get some big City news during the week starting 4 June. Well, that period is virtually over now and the wait goes on! It was thought that, given the way the piece was written, that the “big” news would concern the contract position of Junior Hoilett and Aron Gunnarsson. There has been nothing at all as far as Gunnar is concerned and I must admit that my earlier confidence that our promotion would be enough to persuade him to stay with us is beginning to waver somewhat. Gunnar could leave us for nothing in the next month, but what about Junior? No official word yet, but did the Instagram message referred to here offer more than a hint that the winger will be committing himself to a third season at Cardiff – my guess is that it does. Unlike the two players mentioned above, Joe Bennett leaving us on a Bosman is a non starter this summer – the left back is under contract for the upcoming season, but the problem is that his current deal still has that release clause of £2 million which prompted Fulham to try and grab him at the start of last season. Bennett opted to stay with us then, but reports from London suggest that Fulham will be coming in with another offer which will trigger the release clause and the similarities with nine months ago continue to the extent that the old story about us going in for Preston’s Greg Cunningham, probably as a replacement for Bennett, resurfaced in recent days. Talking of the side who accompanied us up following their Play Off win over troubled Villa, I first heard word of them being possible competitors with us for the signature of Marko Grujic if Liverpool decide to make him available on loan again about a fortnight ago. Regular correspondent Dai Woosnam made a compelling case as to why Fulham could foil any plan we may have to get the Serb back in the Feedback section early last week I think it was and I agree that the lure of working with his fellow countryman Slaviša Jokanovi? may prove decisive in any battle to get the midfielder back for another season. That’s the thing, I suppose it’s easy to assume that, as a promoted team, we won’t be losing many members of last season’s squad, but, with the ground seemingly being laid for a summer of recruitment which sees us operating under pretty strict controls when it comes to transfer spending and wages, there will be a temptation that may persuade richer clubs than us to make offers for members of our promotion squad. After all, they will think that we could be persuaded to let one of our mainstays go as a way to increase the size of our budget. Similarly, they will know that they can, almost certainly, offer higher wages than us – don’t forget that, this time last season, Brighton’s David Stockdale offered to turn down a contract offer from a club that had just been promoted to the Premier League in favour of one from Championship club Birmingham.